Dialog Broadband Network’s Internet Data Center (IDC) achieved ‘Tier III Design Certification’, becoming the first commercial internet data centre in the country to achieve this prestigious certification. Dialog’s Internet Data Centre at Malabe received this certification from Uptime Institute, the globally recognized data center standardization body. This Tier III designed certified facility is a concurrently maintainable site, which has redundant infrastructure components such as power and cooling infrastructure and network capabilities serving critical environments of the customer. 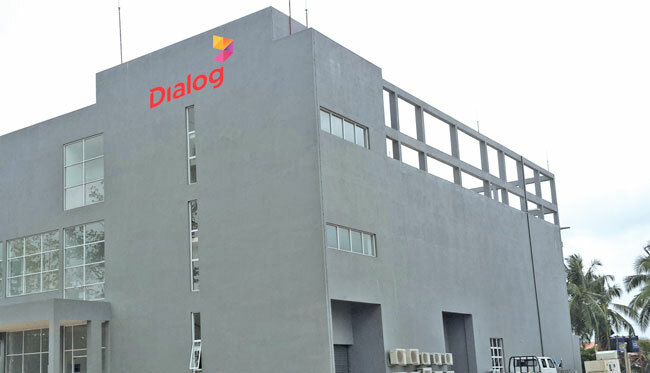 The data center will be available for commercial operations shortly, and Dialog Broadband Networks also aims to achieve the Uptime Constructed Facility Certification when the new data centre is in operation. The new IDC will become one of Sri Lanka’s largest data centres in operation with over 10,000 square feet accommodating 300 racks for customers. The new IDC will offer highly-scalable and reliable colocation services to customers and continue to ensure required security and reliability of customer infrastructure. Dialog currently operates three ISO: 27001 (2013 version) certified data centers, and the new site also will be certified similarly. “There is constant demand for a high-level of reliability and security, especially for mission critical applications for government and global enterprise customers. They require data centres that host their data to comply with stringent risks, safety and data security guidelines. Dialog is committed to continue delivering data center solutions with redundant and scalable infrastructure to meet the stringent SLA across all industry verticals,” says Navin Pieris, Head of Business – Broadband and Fixed Telecommunications, Broadband & Fixed Telecommunications. © 2019 Cumulus. All rights reserved.